Maruti has launched Maruti Ertiga couple of months back and this is the first car from Maruti in MUV segment, though Maruti prefers it to say LUV [Life Utility Vehicle]. Maruti always had reputation of manufacturing small cars and there has been huge demand from its customers that this veteran four wheeler manufacturer produces a new variant in MUV segment. Finally Maruti entered the MUV segment with Maruti Ertiga. Maruti Ertiga comes with huge space and is well suited to big family, Maruti Ertiga can easily accommodate seven persons and is boasted as a complete family car. Maruti Cars have always known for their performance and fuel efficiency. Maruti has picked Ertiga name from Indonesian language which means three rows, and living upto its name this MUV has three rows of seats. Maruti Ertiga is available in petrol and diesel versions and this LUV will be available in three trims in diesel and petrol version, LXi, VXi, and ZXi will be available in petrol version and LDi, ZDi and ZDi will be available in diesel version. 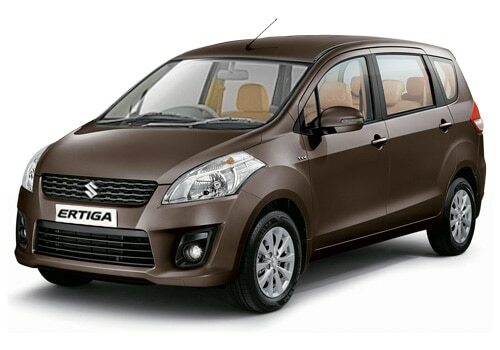 If we take a look at Maruti Ertiga Price in India is about Rs.7 lakh (ex-showroom New Delhi). If we look at the engine specifications of Maruti Ertiga petrol variant, it comes with a 1.4 liter advanced K-Series engine with 4 cylinders and a 5-speed manual transmission gear box. Looking at the diesel version this variant is fitted with 1.3 liter direct diesel injection system with a similar gear box and number of cylinders. Maruti Ertiga carries the legacy of Maruti of being most fuel efficient car. The petrol version is expected to give 16.02 Kmpl and diesel version is expected to deliver 20.77 Kmpl. Maruti Ertiga will be competing with all the big names like Toyota Cars and Mahindra Cars which have already taken over the maximum market share in this segment. Ertiga will be closely competing with Toyota Innova, which is leading the SUV and MUV race at the moment in India. The first and foremost difference is that Maruti Ertiga is much cheaper in comparison with Toyota Innova. Maruti Ertiga is available for Rs.7 lakh (ex-showroom New Delhi), and if we compare it with Toyota Innova Price, this Japanese MUV is priced at Rs. 9 ,12, 171 (ex-showroom New Delhi). Maruti Ertiga diesel variant gives approximately 20.77 Kmpl in comparison with 10 Kmpl from Innova, and also Maruti Ertiga comes with world class interior features like powerful air conditioning, rear vents, and comfortable seating. The best part is that Maruti offers MUV in petrol and diesel version, giving the customers option to choose from. We have to wait and watch how these new variant from Maruti Ertiga confronts Toyota Innova. I shared that Skoda Fabia Scout Launched Quietly.